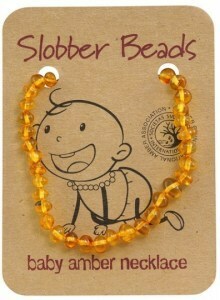 Authentic amber jewellery is beautiful and unique, with no two pieces exactly alike. 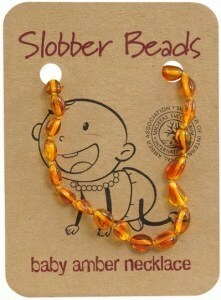 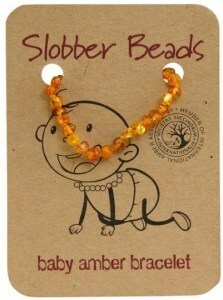 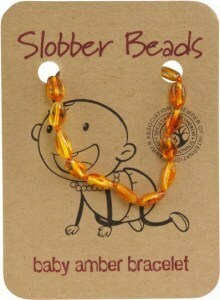 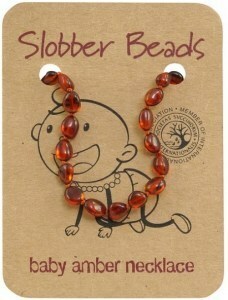 The varied shapes and the warm colours of the amber beads are especially diverting for young babies, helping to engage tactile and visual learning. 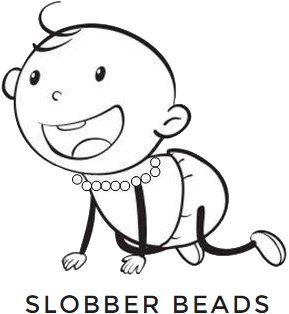 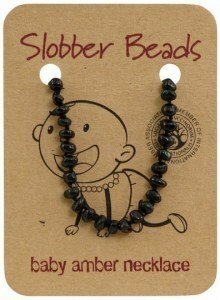 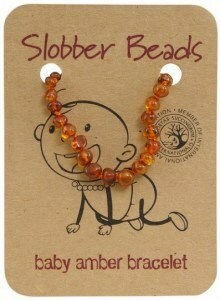 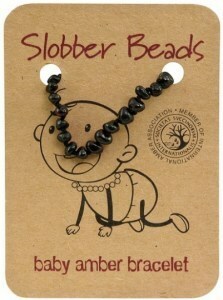 Securely strung on bracelets and necklaces, they also make a safe and soothing teething remedy. 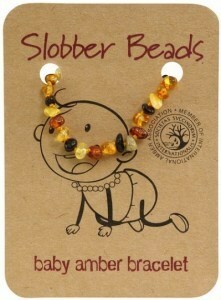 Slobber Beads uses only genuine Baltic amber personally sourced from International Amber Association certified producers in Gdansk, Poland, the amber capital of the world and birthplace of the company’s founder (who’s now a Melbourne resident and a mother herself).